Effective teaching and learning require seamless collaboration between instructors and students. The right technology and training can help facilitate this connection, which is why many universities, colleges, schools and other educational institutions provide their instructors and students with a Learning Management System (LMS). In addition to using an LMS, educators and students often also use G Suite's cloud-based productivity tools to create, collaborate and communicate in real time. Until now, there hasn’t been an easy way to integrate G Suite with many LMSs. Enter Course Kit—a free toolkit that allows instructors to use Google Docs and Drive to collect assignments, give faster and richer feedback to students, and share course materials within the LMS they’re already using. Course Kit is built using the Learning Tools Interoperability (LTI) standard so it's easy to set up and works with all LMSs that support LTI. 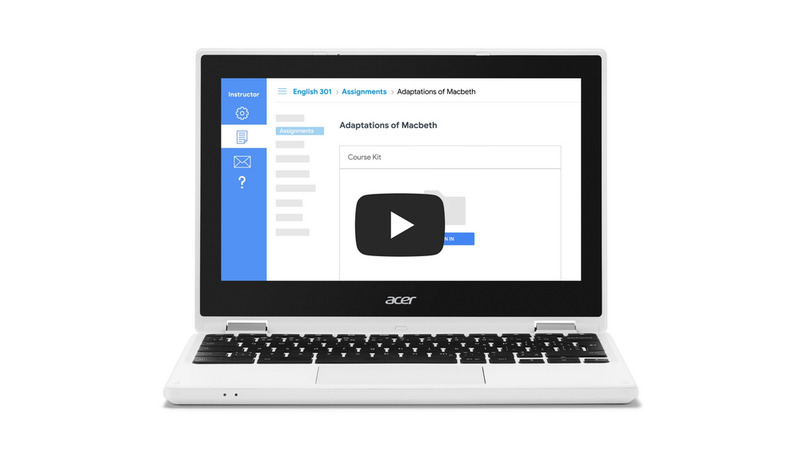 Course Kit currently includes an assignment tool and a file embed tool, making it fast and secure to integrate G Suite's powerful collaboration capabilities into teaching and learning workflows. We piloted Course Kit over the last semester with higher ed institutions, and are now making it available more widely through a beta program. Creating and collecting assignments in an LMS with Course Kit's assignment tool is efficient and secure. 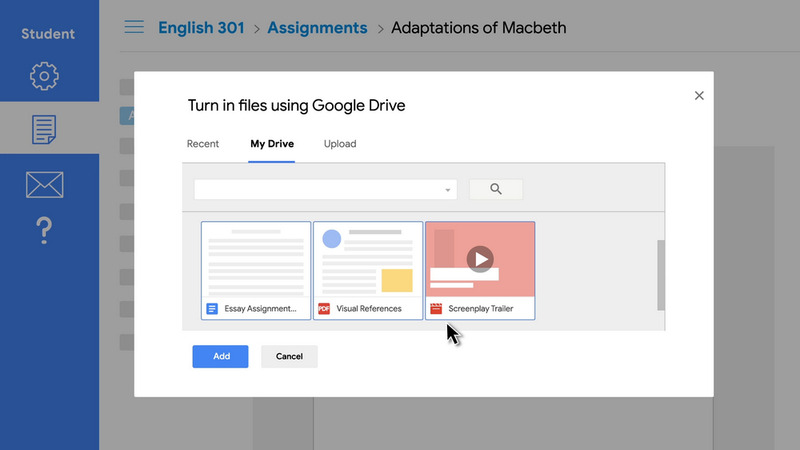 When submitting their work, students don’t have to worry about the format of their files because any file that can be stored in Google Drive works with Course Kit. Once students turn in their completed work, Course Kit automatically manages permissions and students no longer have edit access to their submitted files while being graded. For instructors, being able to use Google’s cloud-based tools that their students use every day is critical. Educators can use Course Kit's grading interface to easily toggle between students and their submitted files, all in one tab. 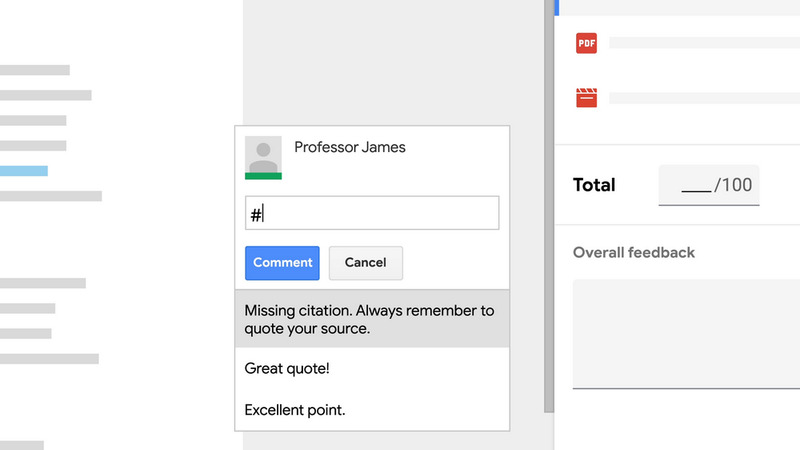 They also have the ability to privately give feedback on assignment submissions with the rich collaboration features of Docs and Drive—such as in-line suggestions and margin comments. To save time for deeper, personalized feedback, Course Kit includes a new feature that lets instructors quickly insert commonly used margin comments using a customizable comment bank. “Educator comments are added to a bank, which can be easily reused over and over, or edited to make feedback more personal. Our professors found that very useful,” said Ben Hommerding, Instructional Technologist at St. Norbert College. When educators are finished reviewing assignments, grades and feedback are synced to the LMS and files are returned to students. “This saves a lot of time managing grades manually,” said Hommerding. Course Kit also creates an archival copy of every returned assignment so professors have an easy-to-access record of submissions -- especially helpful if the assignment needs to be turned in several times. Students get notified when their assignment is returned and can view the instructor’s comments and feedback directly in their LMS. 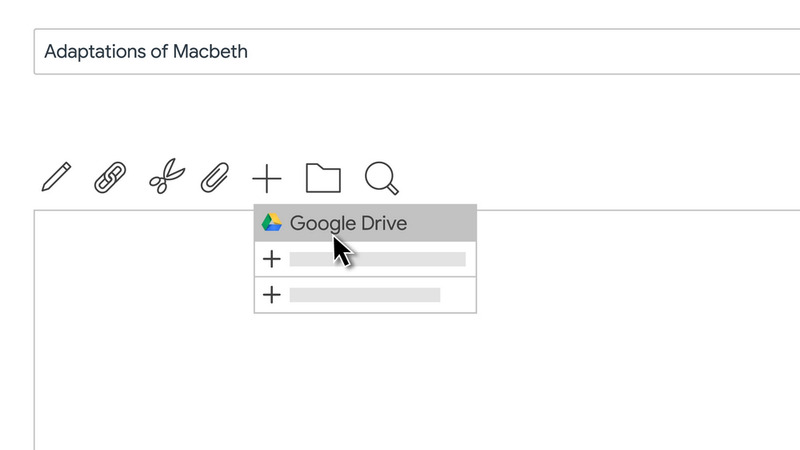 Using Course Kit's file embed tool, LMS users can add course materials from Google Drive directly into LMS pages, making it easy to share materials seamlessly. Instructors can embed anything from assignment information and syllabi to lecture presentations and videos. This tool simplifies the process of sharing related materials because embedded files are right there in the LMS, organized in Drive and automatically shared, saving faculty from manually configuring sharing settings. Now with the Google Docs and Drive integration within your LMS, it’s possible to streamline assignment workflows, give richer feedback, and collaborate with students. Course Kit meets industry standards for accessibility and is available in 44 languages. 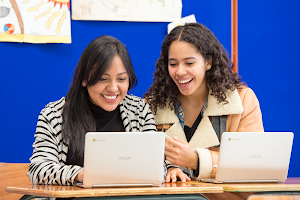 If your institution uses G Suite for Education, get started by requesting access to the beta. Once whitelisted, your IT administrator can install Course Kit in your LMS. Currently using Google Classroom? We are also working to add new and improved feedback functionality directly to Classroom, so stay tuned for more updates in the next few months. 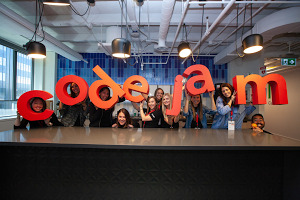 It’s our goal to build tools that enable meaningful connections and lead to effective learning. As always, we’d love your feedback about Course Kit so we can continue to improve these tools, and build others that help improve teaching and learning.